Dec 20: It’s a Fred Ex Christmas in Dinoville! Christmas trader Nicholas has caught a flu and sends traveling trader Fred Ex as a substitute, but of course Nicholas' most talented helping hands will be there to support Fred Ex in the outer areas. Together they want to show everyone just how much fun it is to give a gift to a friend. If asked about how exactly they want to achieve this, Fred Ex checks his cheat sheet and then produces gingerbread men and candy canes from his big bag of presents. Give these sweets to your friends! Be sure to meet Fred Ex and his helpers from the North Pole! Special quests and rewards are only available during the course of the event, so you will want to visit them often. “It's a Fred Ex Christmas in Dinoville!” begins December 20, 4:00 PM server time* and runs until January 6 2019, 11:59 PM server time*. Traveling trader Fred Ex will be staying in Dinoville for the full duration of the event (see below)! 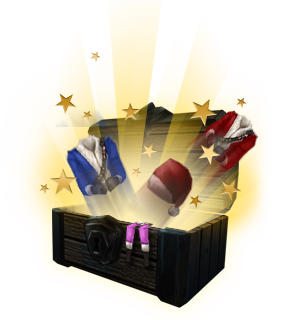 Play event quests in Dinoville, Goldfields, Mokon Woods, Green Volcano and Coldclaw Valley to collect festive sweets. Give sweets to and receive gifts from friends; Fred Ex and his helpers will reward you for it with great christmas-themed rewards!